How can you Reduce Pet Allergens in the Home? What Causes a Person To Be Allergic To a Pet? A super-sensitive immune system causes pet allergies. Normally, the immune system fights off harmful foreign substances like bacteria. The immune system in some people, however, will fight off even harmless foreign substances like pet dander, dead skin the pet sheds. In this situation, the pet dander is called an allergen. When antibodies released from the immune system rid the body of allergens, reactions can occur such as inflamed eyes, stuffy nose, coughing, wheezing and shortness of breath. If you have a pet you do not want to find a new home for that is causing you or someone else allergies, you may be wondering how you can reduce pet allergens in the home? The following tips may not stop all reactions, but they should definitely help. How Can I Reduce Pet Allergens In My Home? The more your pet is outside, the less dander and saliva, another known allergen, will be in the house. When indoors, try to keep your pet in rooms with no carpeting. If your allergies are very bad, you may want to restrict your pet to one room. Do not let him or her in the bedroom where you sleep. You should also limit car rides to keep the dander out of your car. Vacuum and wash frequently, including carpets, throw rugs, cushions, bed linen, curtains and pet beds. Dust often (wet dusting stirs up less allergens than dry dusting) and vacuum your car after your pet goes for a ride. Using a vacuum equipped with a HEPA, high-efficiency particulate air, filter or double bags may be helpful. If possible, let someone who does not have a pet allergy vacuum and dust while you stay out of the area. Use HEPA filters in your air conditioner and furnace. Using a room air cleaner may also help. According to a study performed in 1999 and published in the Journal of Allergy and Clinical Immunology, bathing your dog at least two times a week can greatly reduce allergen levels. However, studies using cats were less encouraging. Using an anti-dander shampoo may help. You will want to be careful you do not overwash your pet, causing his or her skin to dry out. Brush your pet, or have someone else do it, outside. If you have a hamster, bird, or some other pet that lives in a cage, have the cage cleaned often, at least once a week. Keep the litter box out of living areas. If possible, keep it in a garage or utility room and clean it frequently. 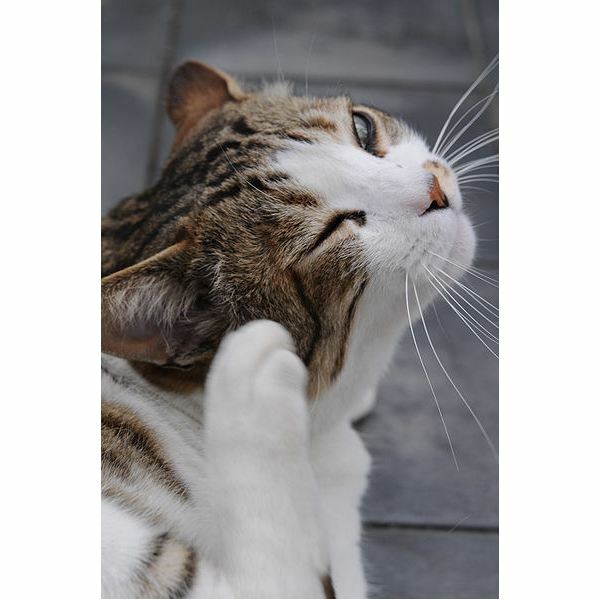 Wash your hands after petting or handling your pet and keep contaminated hands away from your face.